Your company is required to be a sponsor of the 2018 LCT Technology Summit to maintain a hospitality suite, or conduct a special event during the LCT Technology Summit. You must request approval from the LCT Technology Summit 45-days prior to the event. 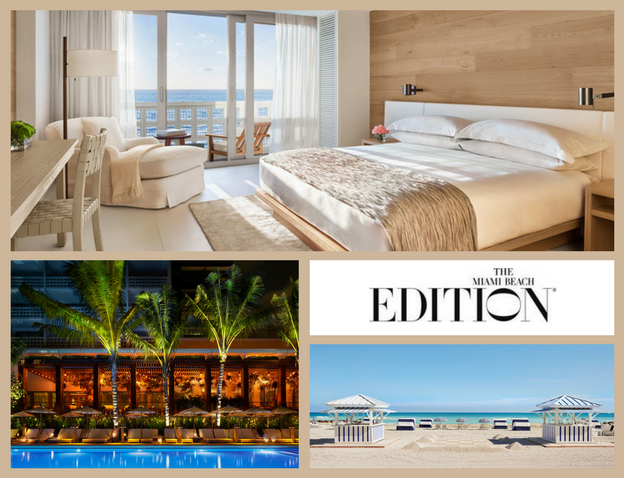 The suite or special event host is responsible for making the arrangements for the hospitality event with The Miami Beach EDITION and is responsible for all charges. No events will be permitted that conflict with any official portion of the LCT Technology Summit program. Promotion of the event may occur at the sponsor’s table or if the event is open to the entire conference delegation, a request can be made to be included in the program guide. LCT Technology Summit reserves the right to not approve an event or hospitality room in conjunction with the event. The Miami Beach EDITION has been advised not to book an event unless it has been approved LCT Technology Summit in advance. No event can be conducted during Summit hours. The LCT Technology Summit is committed to providing you with the best travel deals around. LCT Technology Summit is the official travel provider for this event and does not work with an outside third-party vendor. Any offers from other hotels and/or travel agencies are not endorsed by LCT or Bobit Business Media. Don’t be fooled by offers from other parties using the LCT Technology Summit name or claiming to be from LCT or one of our host hotels. They are NOT affiliated with LCT or Bobit Business Media. Remember, if the offer seems too good to be true, it probably is. At the very least, prior to booking with a party other than LCT or Bobit Business Media, please check the prospective vendor’s rating at www.bbb.org.